This is an absolutely stunning 4400 sq. 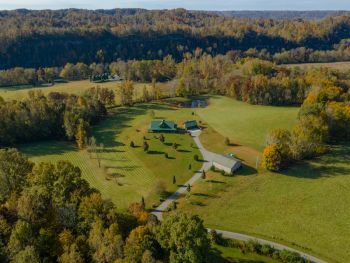 ft. m/l Heritage Custom Built Log Home sitting on 18 acres m/l in the heart of Creelsboro, KY right beside the beautiful Cumberland River. 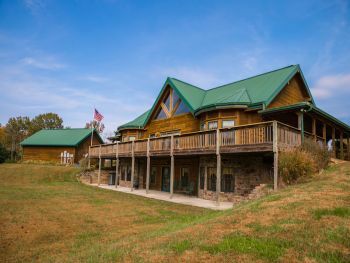 If you like to hike, kayak, trout fish, hunt deer & turkey then this is your place. 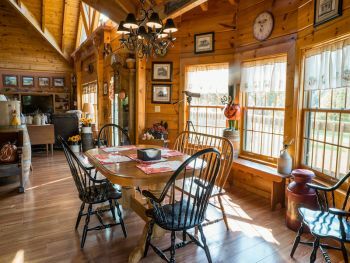 This property has a very nice 42’ x 50’ metal garage that has concrete flooring as well as a three car wood siding detached garage with 8’ x 9’ doors, with Pella windows and doors. This home has 3 ½ bedrooms with a loft and 3 full bathrooms. This home has all Pella windows & doors with laminate hardwood floors, tile in kitchen, bathroom and utility room. The basement has laminate waterproof tile and also includes infrared sauna with radio and Bluetooth. 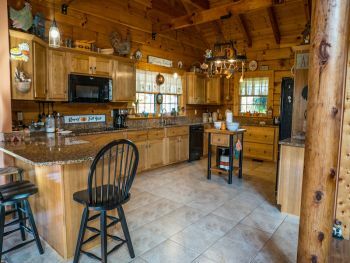 All appliances stay with home including refrigerator, oven, and washer & dryer. Driveway has petro mat under rock foundation. 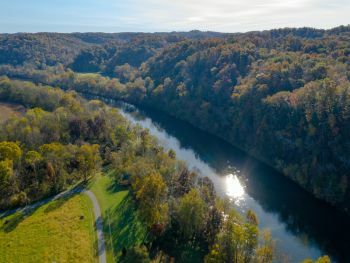 You are seconds from the Cumberland River and boat ramps and a couple of miles from the Historic Rockhouse Arch as well as the Creelsboro Country Store. This is a must see!